According to a recent news article from Fortune, Frito-Lay has recalled two products that are flavored with jalapeños. These are jalapeño-flavored Lay’s Kettle Cooked potato chips and Miss Vickie’s Kettle Cooked potato chips. The reason for the recall of these two lines of jalapeño-flavored chips is because of concerns that they may be contaminated with salmonella. It should be noted that there have been no reports of illness connected with this recall as of the time of this writing. 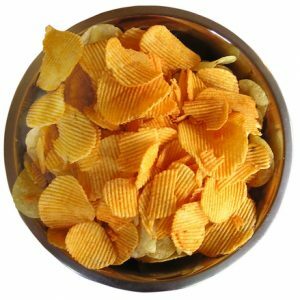 The reason for the recall, and the fears that the chips may contain salmonella, is because the company used a seasoning blend that was made by a different firm and supplied to Frito-Lay for use in their chips. As our Boston products liability attorneys can explain, salmonella can be fatal if it infects children, elderly persons or people with compromised immune systems. The common symptoms of salmonella poisoning are a fever, vomiting, diarrhea, abdominal pain and nausea. While it is fortunate that nobody appears to have been injured in this recent recall, the case does bring up an interesting issue. In today’s world, it is rare for one company to make every part of their product line. This is true whether we are talking about a bag of chips or a luxury automobile. With the way production works and the constant effort to reach maximum efficiency and economies of scale, it is more cost effective to simply get needed supplies for contractors. The problem for consumers who are injured by a defective product is they may not know whom to sue, because the manufacturer will claim they did not make the defective part. To fix the problem, the law allows the consumer to sue anyone in connection with the manufacture, sale, and distribution of commercial product in most cases, so long as the product was sold in the normal chain of commerce. This means that you can sue the manufacturer, and they can bring in other parties like a supplier or distributor if they feel the other parties should indemnify them.